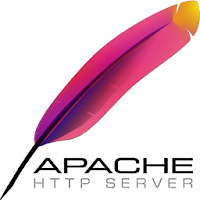 Apache HTTP Server, colloquially called Apache, is free and open-source cross-platform web server software, released under the terms of Apache License 2.0. Apache is developed and maintained by an open community of developers under the auspices of the Apache Software Foundation. The project is jointly managed by a group of volunteers located around the world, using the Internet and the Web to communicate, plan, and develop the server and its related documentation. Apache HTTP Server is cross-platform, meaning that it is built for Unix-like systems (e.g., macOS, Linux and FreeBSD) as well as Windows. 92% of all Apache HTTPS Server copies run on Linux distributions. This Project is a collaborative software development effort aimed at creating a robust, commercial-grade, featureful, and freely-available source code implementation of an HTTP (Web) server. This project is part of the Apache Software Foundation. In addition, hundreds of users have contributed ideas, code, and documentation to the project. Apache Software exists to provide robust and commercial-grade reference implementations of many types of software. It must remain a platform upon which individuals and institutions can build reliable systems, both for experimental purposes and for mission-critical purposes. Multiple Request Processing modes (MPMs) including Event-based/Async, Threaded and Prefork. TLS/SSL with SNI and OCSP stapling support, via OpenSSL.